A chair is a difficult object. A skyscraper is almost easier.” — Mies van der Rohe. Van der Rohe, as with Eames, Gehry, Hadid, Libeskind, Corbusier, and Breuer: if they’ve designed a big building, chances are they’ve designed a thing on which to sit. The chair presents an interesting design challenge, because it is an object that disappears when in use. The person replaces the chair. So chairs need to look fantastic when empty, and remain invisible (and comfortable) while in use. 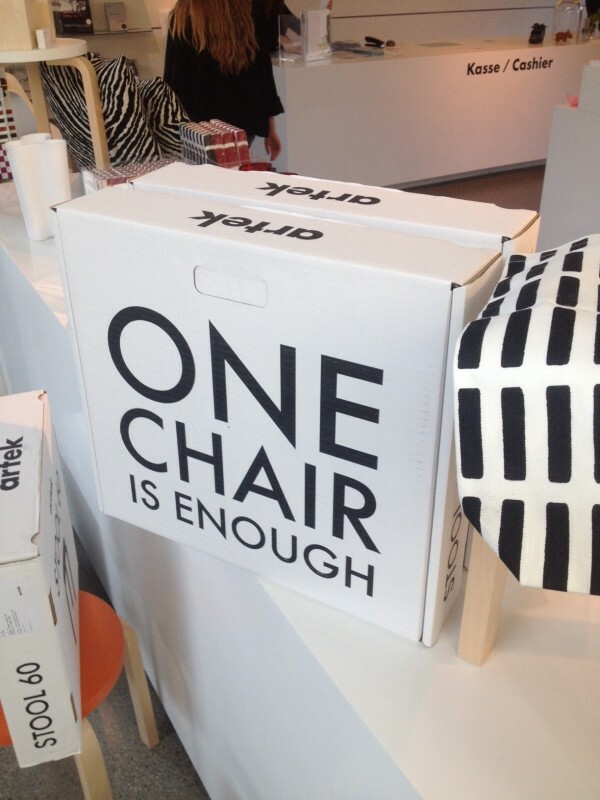 Yes, there are already a lot of chairs, but our needs from chairs are constantly changing. Consider the café: they used to be places for talking; now, they are places for working. People use the space differently, and the furniture must be adapted to serve the evolving use of a space. Throughout our lives, we have been told to sit down. In school, in the office, in the polite company of a dinner party. In a car or a plane or a bus or a movie. We spend a lot of time in chairs. Which has lead to a lot of talk lately about the unhealthiness of chairs. Sitting is the New Smoking, says The Huffington Post, CBS News, Wired, TIME, and The Mirror. All these new studies and scary headlines have created demand for new ways to sit. There are now medicine ball chairs, adjustable chairs, standing desks, treadmill desks (not to mention fetal position desks). The chair backlash is upon us. Berkeley architecture professor Galen Cranz saw it coming. 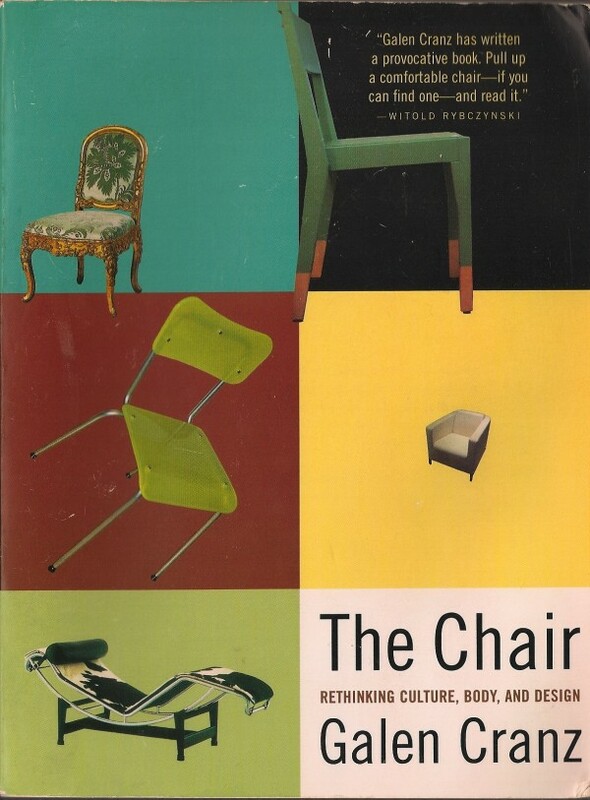 In 1998, Cranz published The Chair: Rethinking Culture, Body, and Design. The argument of The Chair, essentially, is that we should stop sitting in chairs. Or at least for so long. Cranz says three hours is the maximum time a body ought to spend sitting each day. In her own life, Professor Cranz takes innovative chair sitting to another level, by attempting to “eliminate all conventional chairs.” Her house is full of floor cushions, tatami mats, and lots of hybrid chairs, such as a medicine ball on an office chair chassis, and one that looked like a sleek, pared-down horse saddle. It takes gusto to avoid chairs. In the 20th century we moved from being an agricultural economy, where most people worked on farms, then we moved into a manufacturing economy, where a lot of people worked in factories. Some sat, some stood to work the machines along the conveyor belts, and then we moved into a service economy. And that seems to be where the chair really took off and became the dominant apparatus for our lives. When we settled into the service economy, sitting became the way to type file and fill out paperwork. This is when office chairs become the chairs in which people spend most of their time. Until very recent history, office chairs weren’t made to fit your body. They were made to fit your job. There were managerial chairs, middle managerial chairs, secretarial chairs—the sizing was completely status-dependent. This meant that in some cases you could have a 120 pound executive sitting in a gigantic chair and a 160 pound assistant secretary sitting in a tiny little chair. For the most part, status trumped ergonomics. 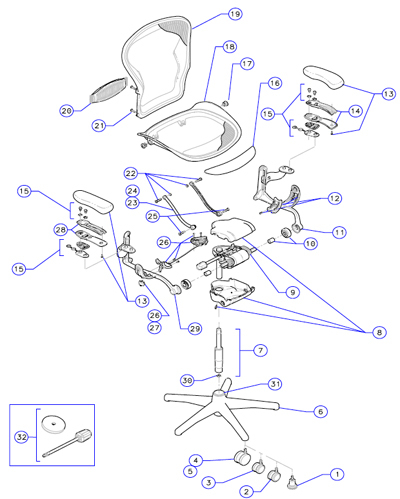 Then, in 1992, the Aeron chair was born. It came only in three sizes: small, medium, and large.The Aeron chair brought in an age of egalitarian office ergonomics, all made visible by the chair’s swivels and adjustment technology. All workers were equal in their Aeron chairs. 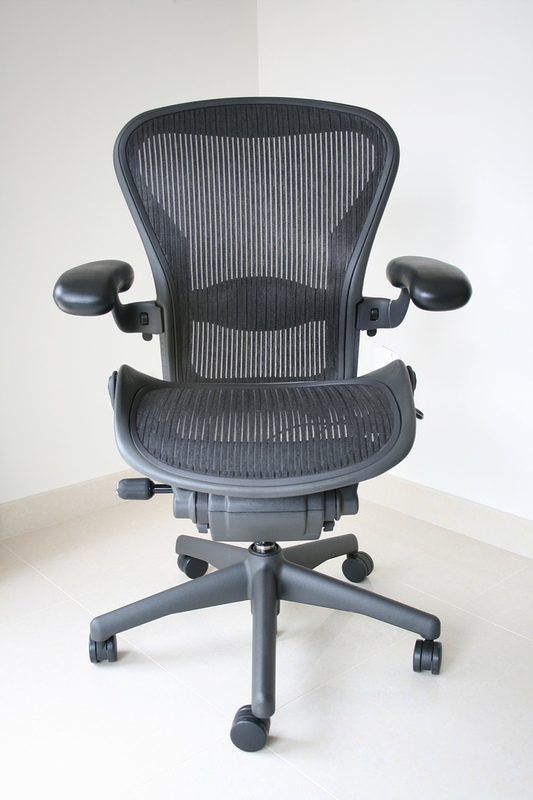 And the Aeron chair defined what an office chair ought to look like. Though expensive, the demand for the chairs was extraordinary. Perhaps, in part, because of a growing number of repetitive strain injury lawsuits. Companies suddenly found it cheaper to buy fancy adjustable chairs than to pay for legal settlements or medical bills. But fixing the chair doesn’t totally solve the problem. It turns out that the chair has an accomplice: the desk. Flat surfaces force you to bend forward. Even if you have excellent posture, its hard to avoid leaning over your keyboard, or your dinner, or your book. The spine curves into a big C-shape, which is awful for your spine, and also compresses your organs and limits their functions. Because of this chair/desk paradigm, the ability of chair backs to really solve this problem is limited. 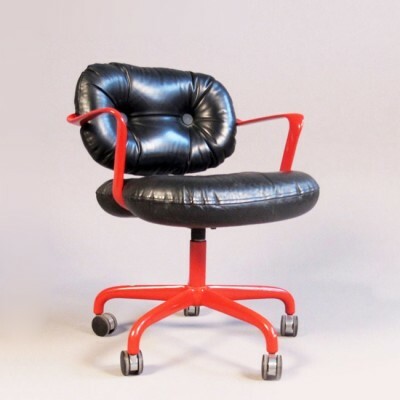 If you must sit in a chair, Galen Cranz says it’s best to ignore the chair back and sit yourself right at the edge of your seat, essentially turning the chair into a stool. Stools, says Cranz, are a good alternative to chairs, because they get your body out of the C-shape. 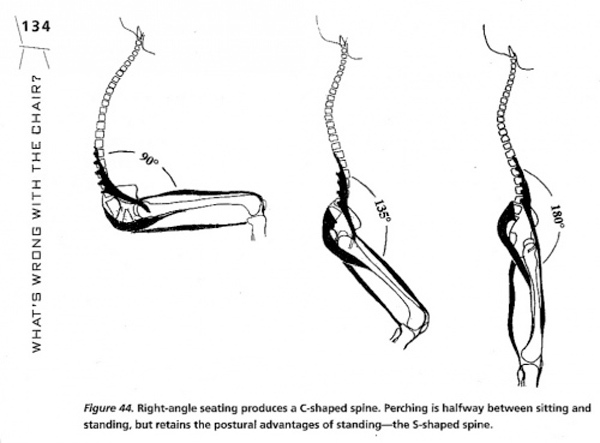 They position the body halfway between sitting and standing. Still, it’s not like there should be one single piece of furniture that will correct all the problems of chair sitting. We don’t need fewer chairs. We need more. Bring us chairs. All of the chairs. Producer Avery Trufelman spoke with designer-professors Galen Cranz and Bruce Hannah. Special thanks to Julio Braga of the International Interior Design Association, and Martin Flaherty and BIFMA, the Business and Institutional Furniture Manufacturers Association. Shout out to songwriter extraordinaire Matt Farley (seriously listen to this fantastic radio piece about him). Farley recently wrote songs for each member of the 99pi team (along with songs about fellow radiotopian Benjamen Walker and UTBAPHS). The video. It’s like the wrestlers listened to this podcast backstage. You made me laugh, agree totally Dan! Damn you..now I am going to be sitting on the edge of my seat all day. Hey, Roman! What was the Japanese ukulele song at the beginning? Great to see a chair feature. I’ve been studying the history, design, and implications of chairs for the past two years through a self-directed master’s program, and I’m glad one of society’s more ubiquitous (not necessarily beneficial!) artifacts are being represented by this great podcast. Thanks for inspiring me to finally change my sitting habits. I’ve sat on the edge of my chair for two whole days now. My back is tired, but I think this change is for the good. I’ve heard of the push for standing desks and have wondered how that would work in my office. I sit for 7+ hours of my 10 hour days and standing would be a nice change of pace. Redesigning the workspace could be challenging: I’m a truck driver. This is the first time I was legitimately upset at 99pi for sloppy work. For goodness’ sake, correlation isn’t causation. Yes, sitting a lot is correlated with all sorts of mortality factors, but that doesn’t mean it causes them. Cranz must know this, but to acknowledge it would steal her rhetorical thunder, not to mention her moral superiority. Give more time to the guy who says it’s ridiculous to think that sitting is as bad as smoking. You are absolutely right KP – I am a furniture design student and I literally cringed every time Cranz spoke. Her analysis of the act of sitting is extreme – it’s pretty obvious to the general public that sitting for long periods of time is a no no, so her rationale was to remove all conventional chairs… How is that at all rationale? But she is right in that lounge chairs are the best furniture to handle the natural curvature of the body. It’s all about the pitch of the back posts and the seat! I was initially excited to listen to this episode, but now I am disappointed. Sloppy work indeed. This story reminded me of A Pattern Language, Christopher Alexander, et al., Oxford University Press 1977. In particular, pattern 251 “Different Chairs”. 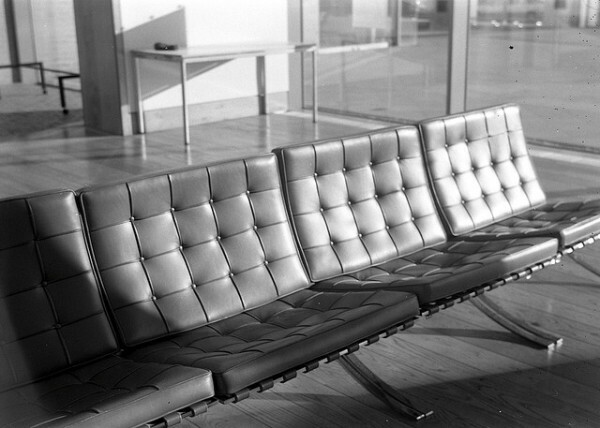 There are several other patterns in the book refer to seats and seating. Hi 99% Invisible! I really appreciated the show! I was a little surprised that you didn’t mention that Galen Cranz is a prominent Alexander Technique teacher and that her view that designers should keep the body in mind comes in part from her study of the Alexander Technique. 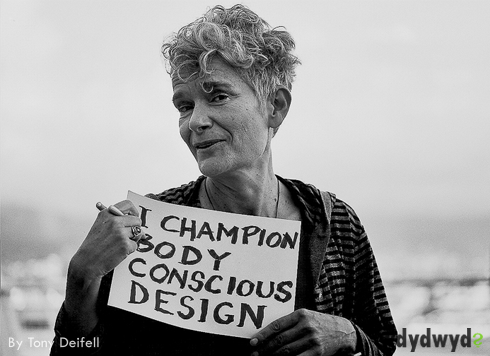 She writes in The Chair, ““We need better objects and we need to take responsibility for how we use ourselves while using them.” In my experience, bad movement and posture habits will frustrate even the best design, whereas as skilled movement can (up to a point) overcome bad design. If you feel like it, you can follow up here (http://www.alexanderand.com/blog/2014/11/11/yzaft3le0n4t80k2ua4h7pqllhrsjc). At any rate, great show. Maybe consider recording a part 2? Something like Great Design + Movement Education = Winning? Thanks for the episode! As a person with back issues I am very picky about my chairs/couch/bed etc… A chair may look attractive but if it kills your back it’s not a well designed chair at all. At work I use my standing desk and when I sit I use this cushion – http://gokhalemethod.com/stretchsit-cushion – I can’t make it through the day without this thing. It counteracts the effects of gravity on your spine. She makes a chair too! I’m really wondering why kneeling chairs have not been mentioned. They were first developed in the 70’s and are very helpful regarding posture and back pain issues, and they have no back! 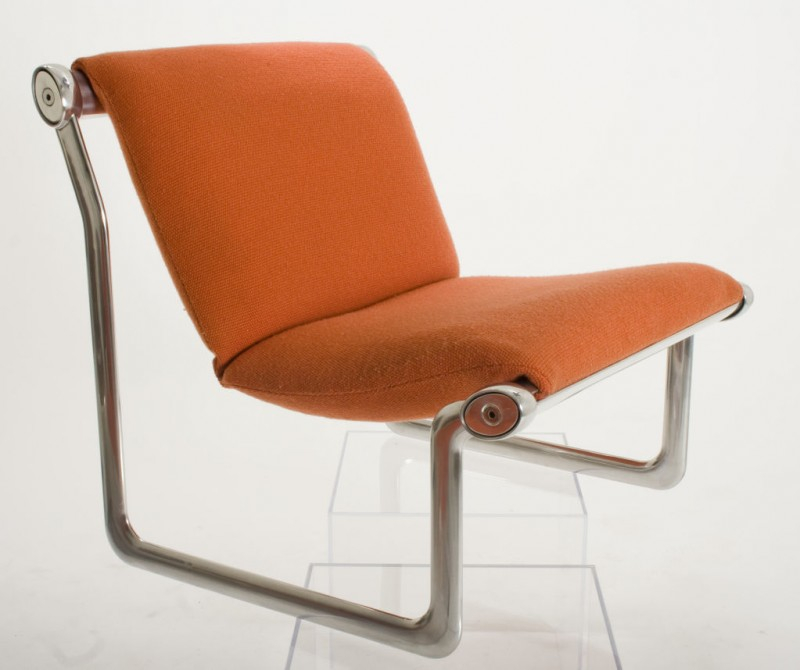 Norwegian designer Peter Opsvik did a great job at designing comfortable chairs yet stylish – Variable balans, Capisco to name those two. Aeron is the most famous one but not the most comfortable or practical in my sense, armrests still get in the way and the body doesn’t support itself. What’s important is indeed variation and movement! Most of the world’s population work in a squatting position. Could the western world have it ALL wrong? Inspired by the nomadic Ayoreo Indians of Paraguay, Vitra introduced “Chairless” in 2010. Its basically an adjustable strap that wraps around torso and legs when you sit on the ground. 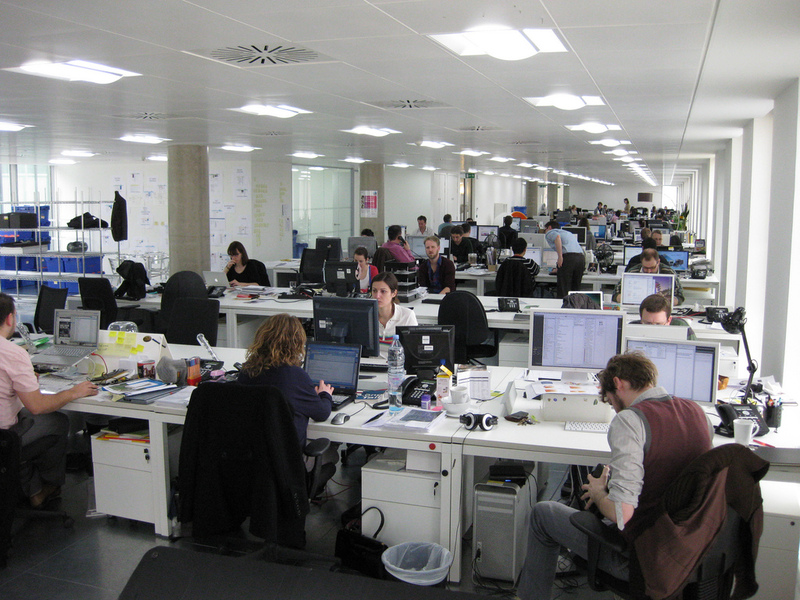 Since then, other ‘sitting/standing revolutions’ from office furniture manufacturers have included height-adjustable surfaces, treadmill desks, and most recently sit/stand chairs from designer of Keen’s [sport sandals], Martin Keen’s office furniture company called Focal Upright. All of these product developments sound gimmicky on one level, but on the other hand, an early-childhood teacher might find Chairless supports floor-level activities, while an office-worker might find that a sit/stand chair encourages an active perching posture, which may even work for a truck driver or any operator of sorts. After I discovered active sitting on an exercise ball, my office-mates promptly banned me from coffee, root beer, and energy drinks, as the enhanced level of enthusiasm translated into hyper-active sitting–read: bouncing. Hey you reading this–sit-up! This may be the MOST BERKELEY episode of 99pi ever!